What is IGTV? How to Use it and 7 Tips & Tricks for Best Results! Instagram is at it again.. They’ve just added another, new feature! This time it’s a BIG one. Introducing IGTV! 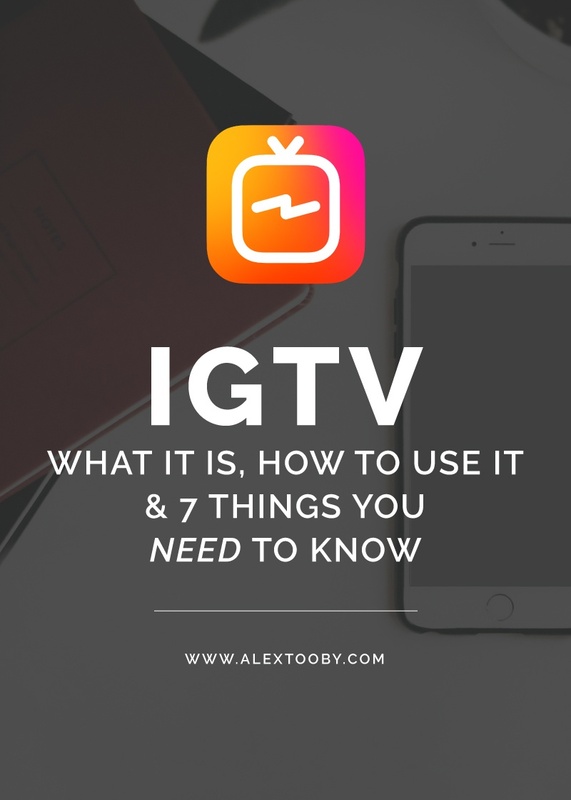 What is IGTV (Instagram TV)? This new feature allows users to create a channel (similar to a YouTube channel) and upload videos from 15 seconds to 1 hour in length (however most users are limited to 10 minutes at this time). This comes as great news to those who use video often but feel restricted by Instagram’s standard 60 second limit. It also offers the opportunity for individuals, brands and businesses to share even more with their audience through detailed, long-form video! The main difference between IGTV and YouTube, is that Instagram is forcing creators to upload vertical video only, whereas YouTube users are accustomed to the opposite – landscape video. 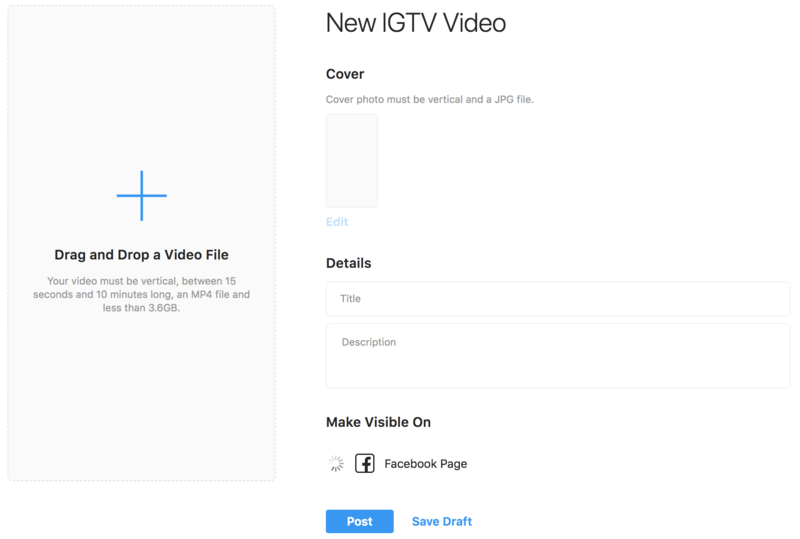 Instagram has implemented this difference to encourage users to create original content, specifically for IGTV, making cross-posting your YouTube video to IGTV a bit complex (it can be done, but will need to be exported differently to fit IGTV’s aspect ratio). Another major difference is there is no real way to search for videos based on their content. Currently you can only search for Instagram users. Meaning if you want to find a video specifically on how to paint with watercolors, you’re better off searching on YouTube! Despite their differences, the addition of IGTV means Instagram users will be creating and uploading even more, exciting content to share with their followers, build their audience and show off their expertise! That’s it! 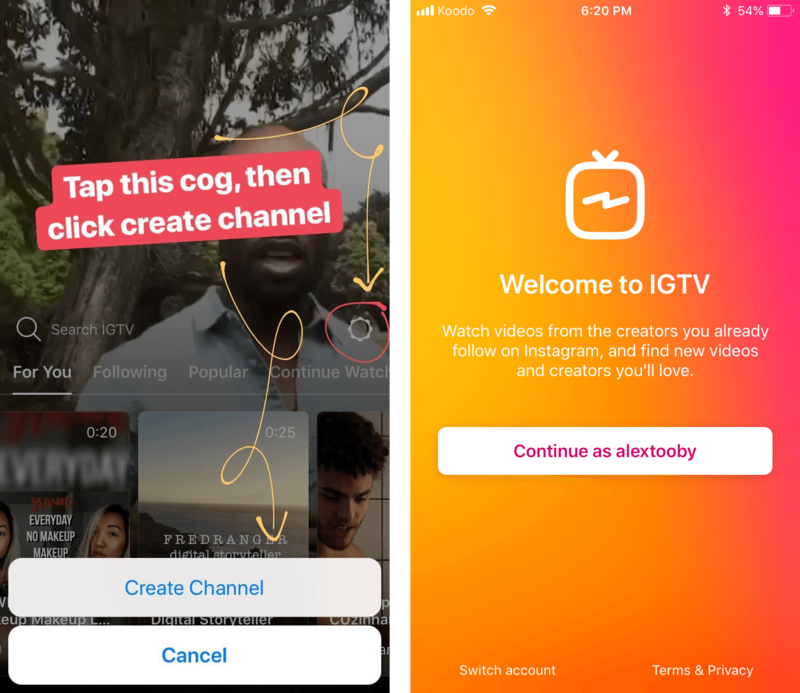 IGTV will automatically pull all your Instagram bio information, including profile picture and follower count and add it to your IGTV channel. At this time, the only way to change this info is to edit your Instagram profile. *Note: you can also access IGTV through the stand-alone app that can be found in the app store. ∙ Tap ‘Edit Cover’ and upload a cover image from your camera roll or choose ‘Cover From Video’ to select one from your clip. Boost impressions, engagement & followers with..
All of these are important, however keeping an eye on the “percent of plays” in specific, will tell you where people are exiting your video. If everyone stops watching around the 3 minute mark you may want to decrease the duration of your future videos, or take a peek at what happens around that time that could potentially make people stop watching. 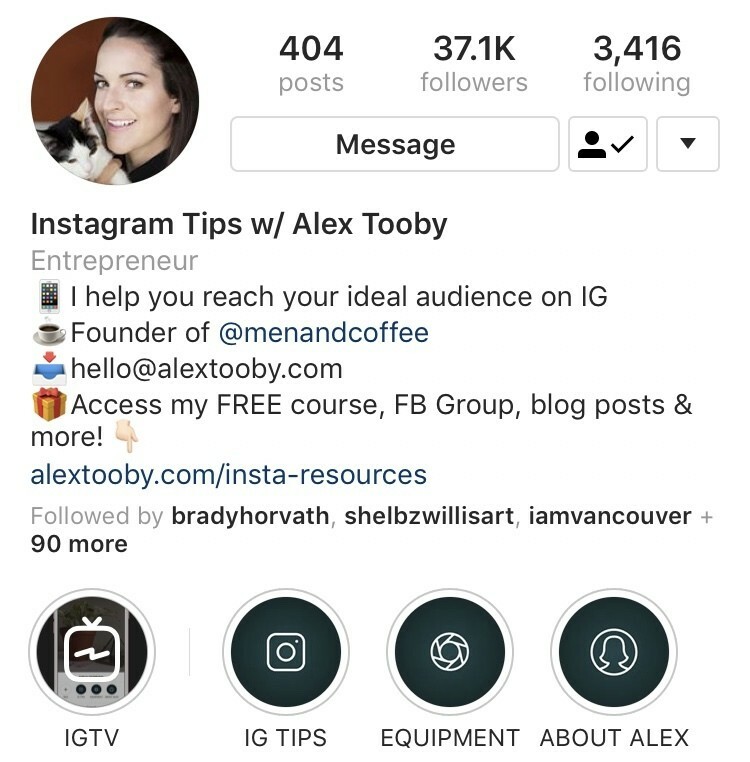 By always taking into account your analytics, you’ll be able to perfect your IGTV strategy and create a well-performing account! So there you have it, the in’s and out’s of IGTV! What do you think? 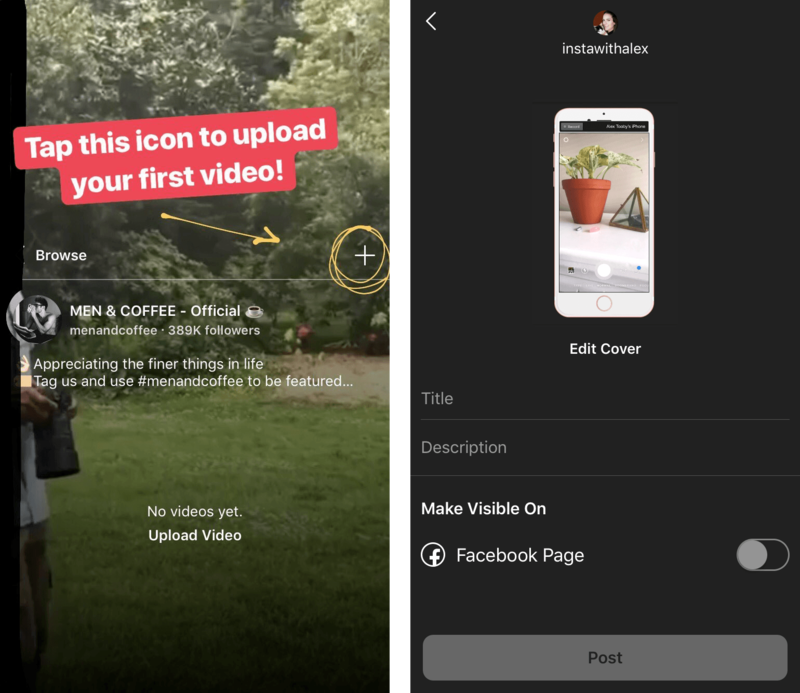 Edit: Instagram just released a new feature that allows you to add 60 second IGTV previews to your main Instagram feed. Users will see this in their feeds like they do regular content, but there will be a button that allows them to click over to IGTV and watch the full video! 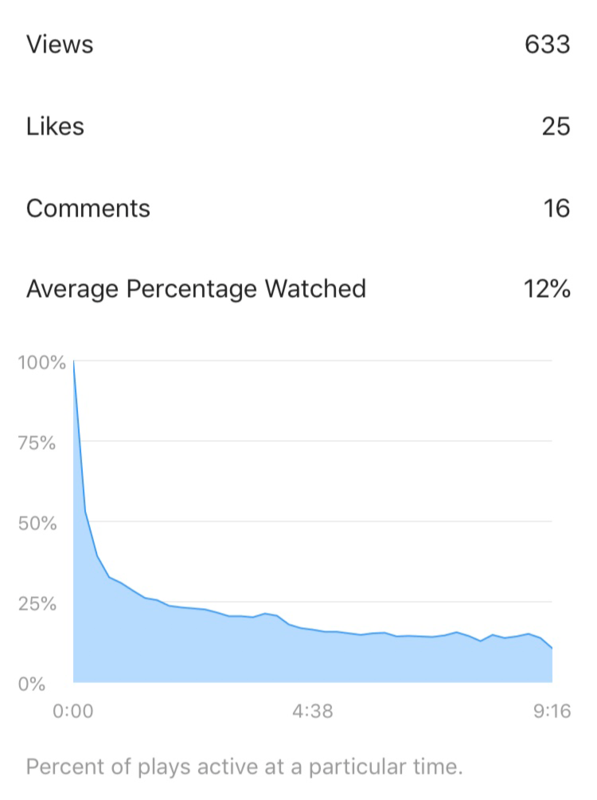 This will greatly increase getting new audiences over to your long-form content on IGTV so make sure if you are posting there, that you share it to your feed as well! What do you think about IGTV? Will you use it? Have you already uploaded a video? As an artist I think IGTV gives an opportunity to show more of the process (1 minute is very restrictive when you have to condense hours of work!!) but I haven’t found many apps that edit video vertically (iMovie is horizontal and from what I’ve seen flipping it around just makes it super grainy cause of all the compression)… any tips on what to use for editing? I agree, 1 minute is sooo short!! I use Adobe Premiere Pro to edit and to change the size of your video you just adjust the “sequence settings”.. I did a quick google search for iMovie and it looks like you can only change the dimensions when you go to export. Look for an area where you can adjust the size to 1080 x 1920 px! Excellent informative video (my favorite yet). Thanks for the great class on IGTV. I just uploaded my first IGTV video. I don’t Know if I will use it. But thank you so much for the detailed instructions. If I choose to I will be back to this post for sure. Hmm…interesting. I love knowing that longer videos can be put on Instagram. Thanks for sharing a great tutorial! Super informative! Thank you, I learned a lot. Thanks Kiara, glad you enjoyed it! Such great info here on IGTV. After watching this I have a handle on how to best use it. Wasn’t quite sure before so thank you! Thank you for the information! I’m wondering if it would be useful to briefly talk about a new blog post? Especially to drive traffic since you can add a link? What are your thoughts? I’ve been generally terrified of doing videos in the first place 🙂 but really trying to just make myself do it! I know how valuable it can be! This is so interesting! We love using instagram so will need give this a shot. This is such a cool feature! I’m going to pin this for later so I can come back to it. I’m not a huge Instagram user but I think it’s a really neat thing. Thanks for this! Hi Raheela, I’m so glad to hear that my post helped you gain a better understanding of IGTV! 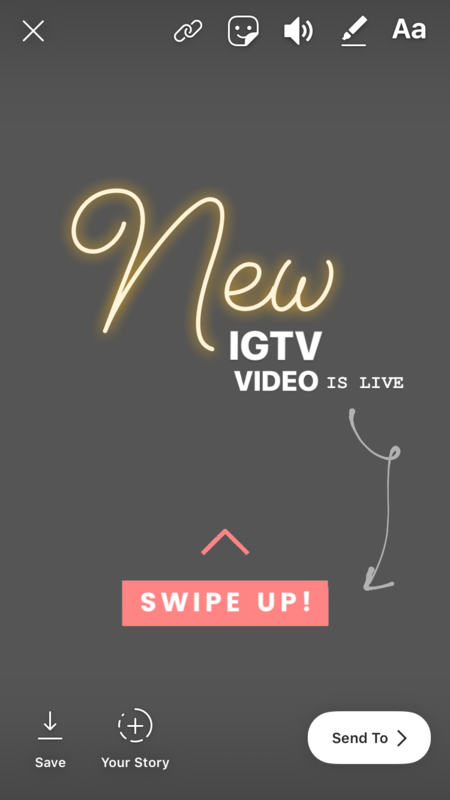 Please let me know what you think of IGTV once you’ve had a chance to use it more.